This is a fancy project made out of recycled plastic bottles. You may make something like this for a Valentine day gift. This basket is made out of recycled water bottles. The wall and the bottom consist of two layers of plastic The outer one is transparent and the inner one is white. In between the two layers of plastic of this Valentine day gift plastic bottle basket there is napkin rosebud decoupage. All the parts are crocheted together with recycled gray yarn I bought at the flea market. The diameter of the plastic bottle basket is 2 inches. It makes a great homemade jewelry box or you may store your scented grass there to odorize the house. 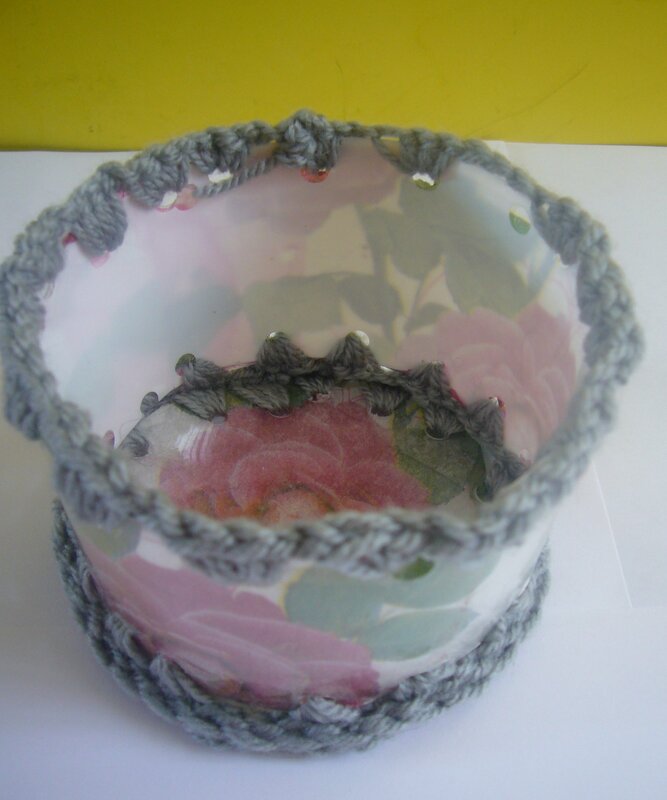 You may find this recycled craft basket on my recycledcrafting Etsy shop. 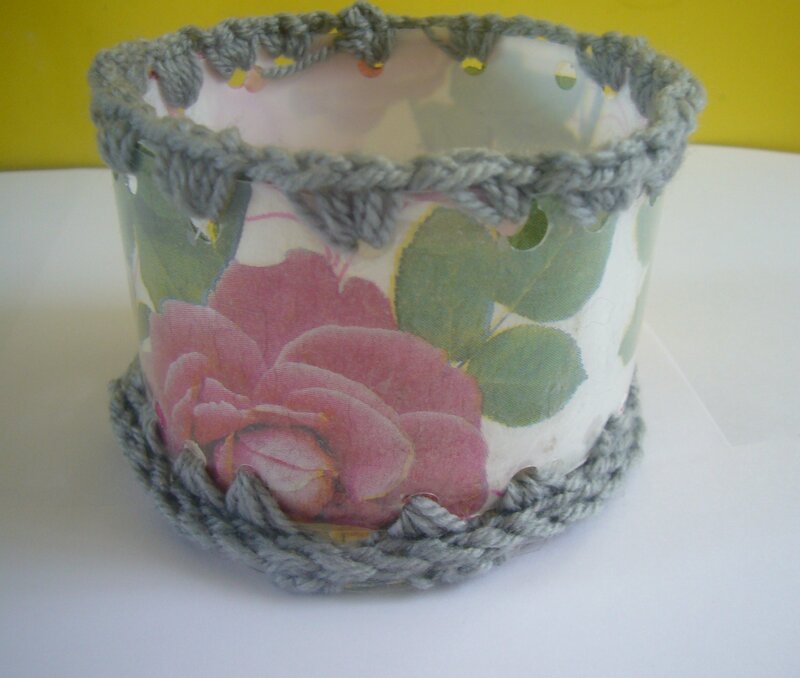 This entry was posted in Crafting Tutorials, Crocheting and tagged decoupage ideas, DIY, etsy shop, handmade jewelry box, homemade hot chocolate, My etsy crafts, paper crafts, plastic bottle basket, recycled crafts for kids, repurpose, upcycling, valentine day gift. Bookmark the permalink.